CLICK ABOVE TO SEE OUR PROPERTY LISTING BROCHURE! In today's real estate market, you need to work with a real estate professional you can trust. Here at RE/MAX Truman Lake we have 10 full time agents that are dedicated to providing the absolute finest service and expertise possible for our clients. 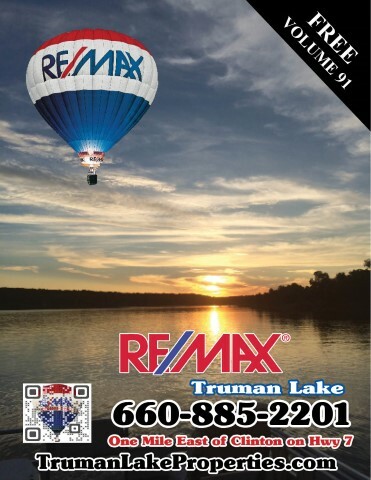 Whether you are buying or selling your primary residence, a second home, hunting or farm land or maybe just relocating to a new neighborhood, RE/MAX Truman Lake can help make your real estate dreams come true. Whether your in the buying or selling process, this website offers a wealth of information to help you. And when your ready... sit down with one of our outstanding agents to discuss your needs one-on-one! We can't wait to meet you!